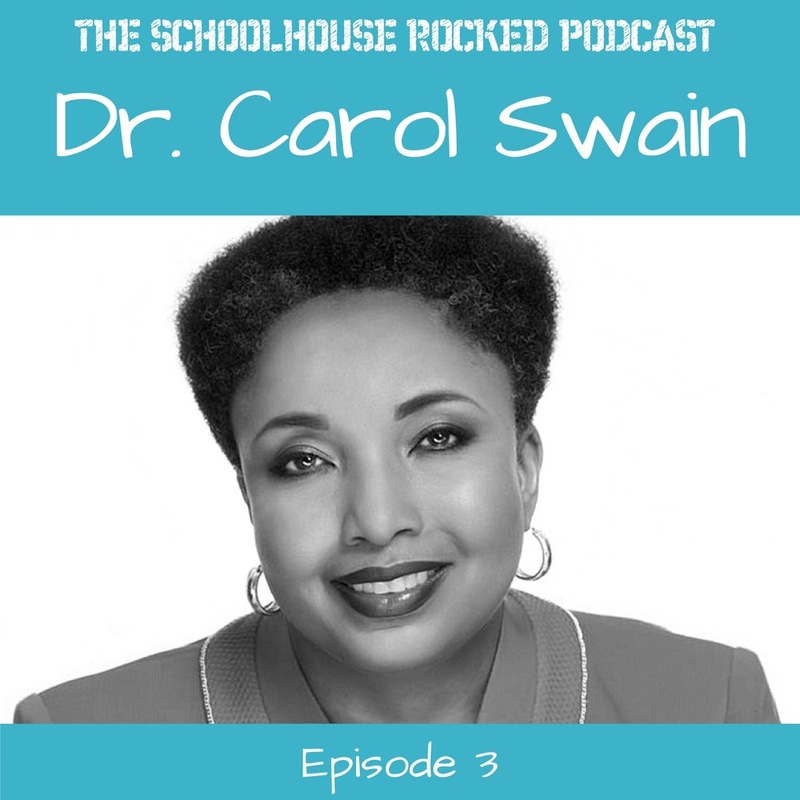 On this week's show were talking to Dr. Carol M. Swain. Dr. Swain is an award-winning political scientist, a former professor of political science and professor of law at Vanderbilt University. She is a public speaker, and political commentator. and author of several books including Abduction: How Liberalism Steals Our Children's Hearts and Minds and Be the People: A Call to Reclaim America's Faith and Promise. Dr. Swain is part of the Schoolhouse Rocked cast and we enjoyed getting to know her while we were filming in Nashville, TN. You can find Dr. Swain online at CarolMSwain.com. Yvette recently appeared on Dr. Swain's new podcast, Common Sense Conversations. You can find it here.